How do I check if my Air Conditioner is installed correctly? You may have contracted an expert or professional HVAC system installation company to do the job for you. Or, you may have decided to do it for yourself. It all seems like a job well done. Before you turn on the air conditioner, you need to ensure that the unit is correctly installed as per manufacturer instructions. This is very important as it ensures that you do not spend extra on electricity bills and you reduce your carbon footprint significantly. Below are few things you should check to ensure that the unit is well placed for optimal performance. AC units placed away from the sunlight perform much better than those placed under direct sunlight. ACs perform better when they are placed under a shade without overheating or having to cool off the excess temperature from the environment. Ensure the unit is placed away from trees and other plants that are an obstruction. The unit’s efficiency will be reduced as it strains to clear our any debris from the trees and plants. The size of your air conditioning unit impacts directly on two factors at home: power consumption and overall comfort in the home. Choose a well- size unit ensures you can sit in comfortably without having to worry about the power bill at the end of the day. Your installation expert should refer to the manual and follow the guidelines to ensure that the unit placed is just the right size for the house. Liaise with your installation company regarding this. Leaking ducts from the AC unit have a direct impact on your power bill. Have you noticed that you bills shoot tremendously during the hot and cold seasons? Have you noticed that there are rooms that have a hard time heating up and cooling down? Have you walked into a particular room in the house and the air feels a bit too humid? Well, its time you checked for any leaking ducts from your air conditioning unit. Leaking ducts increase the humidity of the room. In turn, you will be forced to lower the unit’s thermostat to cool the air in the room, adding to your energy consumption. Along with your contractor, you can also check on the following factors that are key. These factors have a direct impact on power consumption at home, achieving the intended purpose as well as increasing the longevity of the unit. The AC unit requires constant air flow around it. Ensure the refrigerant charge is also correct and accurate. You can also check on the air circulation in each room with the expert. These come a long way in ensuring that the power bills are low and that your stay at home is always comfortable despite the season. 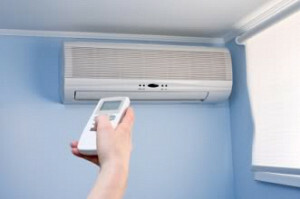 Poorly installed air conditioning units cause more damage than you may think. Choosing a new unit that is energy efficient is a step closer to achieving the atmosphere you long for at home. But this should not come at a price. The above factors can help you check out if the unit is well installed; this will ensure that you stay comfortable and your power bills don’t break the bank.